Escape to Two New Sensation Vacation Destinations! At FiberLove, we work to bring you the best, most pleasurable fiber in the world – and now there are two new flavors you can escape to for your every-day vacay! Coconut Macaroon and Apple Cobbler bars, may just be the best Fiber d’Lish flavors yet. Coconut Macaroon is a delight. Sweet toasted coconut mingles with flavorful almonds in a beach of whole grains and seeds to create one of the most enjoyable FiberLove experiences yet. Biting into Coconut Macaroon bar is even more satisfying than finding the perfect spot in the sun to lay your towel on. 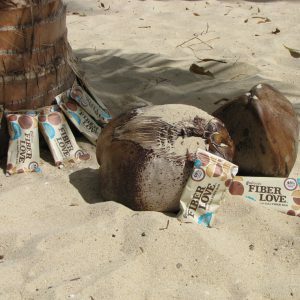 Really, FiberLove’s Coconut Macaroon bar is a dessert island in itself – the perfect kind to get stranded on. We’re very excited about Coconut Macaroon and Apple Cobbler, and think they may even be our best flavors yet! We can’t wait for you to try them. 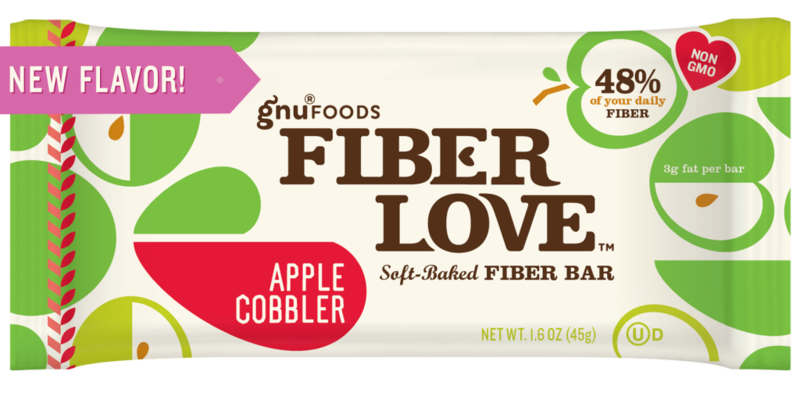 Right now, Apple Cobbler and Coconut Macaroon are only available with FiberLove Club orders. People who order through the FiberLove Club get 30% off the regular price for FiberLove bars and receive Free Shipping on Club orders. You can choose to have your Club order delivered every 2, 4, 6 or 8 weeks. Learn more or sign up for the FiberLove Club here. 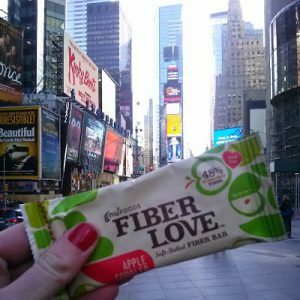 Read more about how FiberLove bars stand apart from other fiber bars. Which are you more excited to try: Apple Cobbler or Coconut Macaroon?